If Rushmore‘s Max Fischer were transplanted to John Hughes’s shermer, IL high school backdrop and neither Wes Anderson nor Hughes’s bruising observations or inimitable humor were apparent, the result would look like Jon Poll’s feeble entry into the teen-movie lexicon. 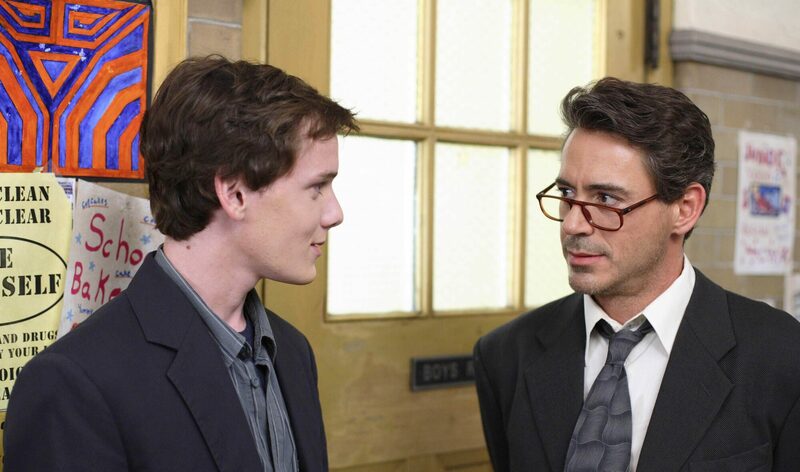 Similar in character to the aforementioned film, Charlie Bartlett concerns a too-bright-for-his-own-good wisenheimer (Anton Yelchin, more irritating than charming) who becomes a de facto shrink after getting kicked out of his elite prep school after creating fake IDs. He is then forced to go to a public school that features an acerbic principal (Robert Downey Jr., running his eye-rolling, ironic shtick right into the ground) with a cutie-pie daughter (Kat Dennings), the prettiest male bully you’ll ever meet (the CW-ready Tyler Hilton), and a surprising dearth of wide-ranging ethnicity in the classrooms. By that setup, one can immediately judge where it’s going: Charlie will face off with the principal over his offspring, have to face the bully, and confront Mom (Hope Davis) about her pill-popping ways while past issues are dredged up (why is Charlie so secretive about his long-lost dad?). But there’s no freshness to any of this; it’s as if director Poll and screenwriter Gustin Nash watched Rushmore on a loop and tried to make it palatable to the mall crowd. 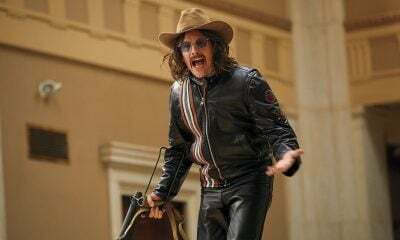 But what set that film apart was its understanding that Max was supposed to be annoying and bratty at times, and here, especially as played by an over-antic Yelchin, you want to get out of the same room at times. It’s as if Ferris Bueller drank too much Red Bull and never had a day off. One could commend the movie by standing by its R-rating (you even see a few breasts here, which must be a first in years for a teen picture). But it only points to how ultimately safe much of it is, even when Downey’s character ends up waving a pistol around young Charlie in a drunken rage (a terrible plot point very clumsily set up earlier in the film), and, ahem, near a pool? There’s your difference right there: Rushmore only needed Bill Murray throwing golf balls into a pool, cigarette dangling from his lips, and an ill-fitting pair of swim trunks to convey the entire world of a middle-aged dad in quiet crisis. This movie needs gunfire and histrionics.